At McHugh Motors, we take the time to provide the best possible vehicles at the best cost. 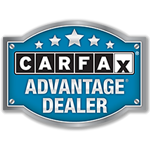 Our process includes locating Quality Pre-Owned Vehicles, Evaluating each Vehicles History, Inspecting each Vehicle with Established Locally Certified Automotive Specialists, and Servicing each Vehicle to OEM Recommended Standards. We are investing this time in Pre-Owned Vehicles because no other dealer consistently does. Other auto dealers will resell a vehicle in almost the same condition as purchased. 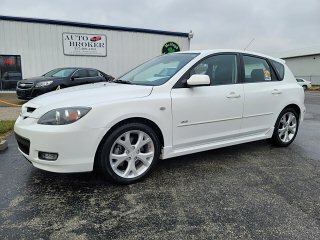 Very little is known about the vehicle, even from the people doing the buying for the dealership, except that it was detailed to look good for a quick sale. In most cases, they are simply too distracted to focus on any one vehicle, they do not evaluate or service each vehicle due to costs, and they are only looking for a one time sale with no repeat business. McHugh Motors, with our Focus on Providing a Quality Pre-Owned Vehicle through our extensive processes, is looking for repeat customers and referrals from each satisfied customer. We make every effort to be completely knowledgeable about the vehicles we sell and work to disclose this information to our customers directly and honestly. 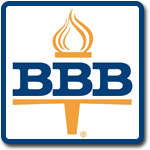 This builds our reputation with customers and other auto dealers allowing us to become the leader in Pre-Owned Cars. So don't waste your valuable time. Let us do the work for you. Here's just a few reasons to visit McHugh Motors • Successfully Operating since 1996. • Personally Inspected / Evaluated Vehicles. • Serviced Vehicles to OEM Recommendations. • Basic Drive Train Warranty Programs Available. • Comprehensive Factory Type Warranty Programs Available. • Pre-Sales / Ordered Vehicles: The Vehicles you want, on time. • Secure Indoor Vehicle / Recreational Storage conveniently on site. • Available Window Tint / Accessories, Paintless Dent Repair Services. • Financing Assistance Available through Local Credit Unions. • Consignment Sales / Website Advertising to help you sell your car. • Interior / Exterior Automotive Detail Shop Services Available.